Step 1: Create a new campaign / Edit a previously created campaign. Step 2: Create a new message/ Edit a previously created message. Step 3: Choose the Theme and write Headline according to your requirements. B. If you want to upload image from your saved items in media library, select Media Library button. 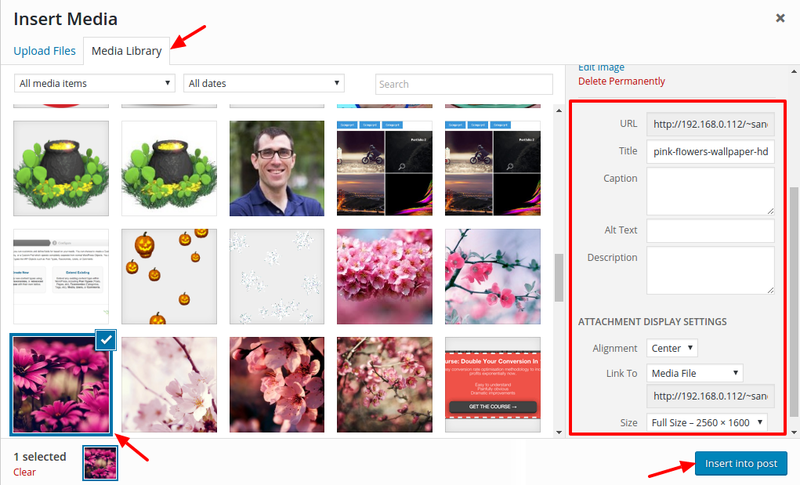 Step 5: Select the Image you want to add to the Sidebar message, change the appearance settings of the image from the dialog box on the right hand side such as alignment, size, etc. and finally select Insert into post button. Step 6: Publish/Update the campaign. NOTE: Gif’s don’t work in smaller Icegram messages like Action bars, Toast notifications, Stickies, Badges, Ribbons.